Faire du piquenique | Life in Paris with a limited wardrobe. ← Let the music live on. The French love, love being outside with their wine, cheese and baguette. My professors will even plan a pre-concert picnic. Before heading over to a Vappu party, the Finn wanted to see le jardin de Luxemburg. 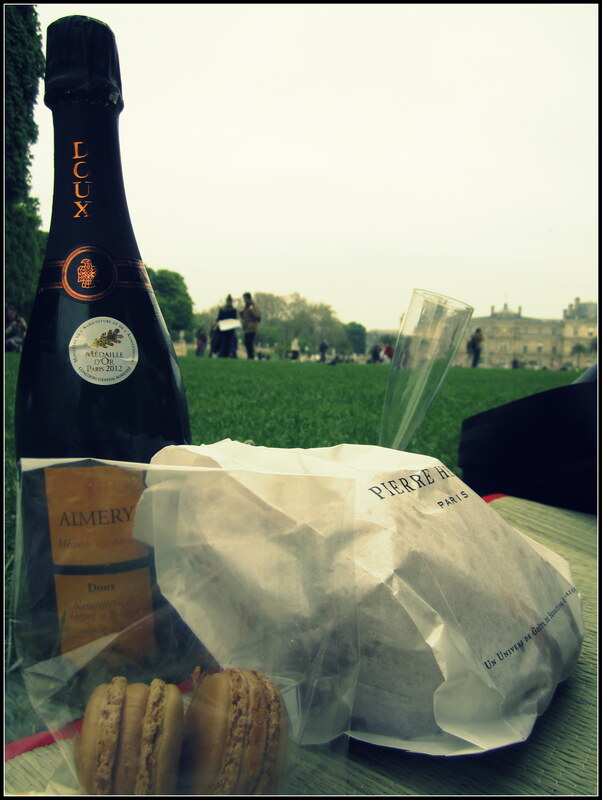 And to truly experience a French garden, one picnics. Sadly Sarahauru Aoki was closed so we grabbed some Pierre Hermé croissants and macarons plus le grand épicerie goodies and headed over the garden to have a brunch picnic. Perfect timing too; as later that day it rained cats and dogs.